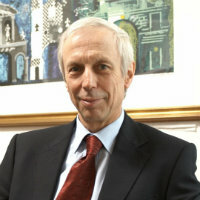 Charles Baden-Fuller is the Centenary Professor of Strategy and leader of the Strategy Group at Cass, ranked Global Top Ten by the Financial Times MSc survey of 2009 and top ten by the Financial Times MBA survey of 2011. He is famous for his strategy insights into the management of mature firms written up in many academic articles and his (coauthored) Harvard Business Press 'Rejuvenating the Mature Business'. He is also well known for his work on networked organisations and the management of young high technology firms, particularly in drug development-biotechnology. His current research examines Business Models: what they are, how they can be improved and how they can be deployed in an increasingly digitalized world. This work is supported by a team of academics based at Cass Business School, Sussex University, LSE, CREATE-Glasgow, Grenoble EM, and the Wharton School; any by more than £1.5 million of research funding from RCUK, EU and Mack Institute-Wharton School. Charles Baden-Fuller has undertaken consulting assignments on strategy and mergers for large and small firms, and currently serves as director or advisor to several young high-tech firms. He combines this with being a senior fellow at the Wharton School, University of Pennsylvania. Before becoming an academic, he worked at Chase Manhattan Bank in New York. BA (Oxon), MA Econ (Cornell) and PhD (LSE). How should we think of Business Models? What is Business Model Innovation? Thesis title: Knowledge access: A new competitive tool for fast-moving, inter-firm environments? Thomson, N. and Baden-Fuller, C. (2010). Basic Strategy in Context. Chichester, UK: Wiley-Blackwell. ISBN 978-1-4051-6108-4. Baden Fuller, C. and Pitt, M. (1996). Strategic innovation : an international casebook on strategic management. London ISBN 978-0-415-12869-8. Baden Fuller, C. and Stopford, J. (1994). Rejuvenating the Mature Business. Boston, Mass: Harvard Business Review Press. ISBN 978-0-87584-476-3. Baden Fuller, C. and Stopford, J. (1992). Rejuvenating the Mature Business. London: Routledge. ISBN 0-415-08987-5. Mangematin, V. and Baden-Fuller, C. (2015). INTRODUCTION: BUSINESS MODELS AND MODELLING BUSINESS MODELS. In BadenFuller, C. and Mangematin, V. (Eds. ), (pp. XI–XXII). EMERALD GROUP PUBLISHING LTD. ISBN 978-1-78560-463-8. Baden Fuller, C. and Zhang, J. (2008). Knowledge Brokering in High-Tech Start-ups. In Harry Scarbrough, (Ed. ), The Evolution of Business Knowledge (pp. 115–136). Oxford: Oxford University Press. ISBN 978-0-19-922960-4. Ferriani, S., Cattani, G. and Baden-Fuller, C. (2007). Fitness determinants in creative industries: A longitudinal study on the Hollywood film-making industry, 1992-2003. Innovation, Industrial Dynamics and Structural Transformation: Schumpeterian Legacies (pp. 209–237). ISBN 978-3-540-49464-5. Armstrong, D. and Farrell, T. (2006). Introduction. (pp. 3–13). ISBN 978-0-521-69164-2. Baden-Fuller, C. and Volberda, H. (2003). Dormant capabilities, complex organisations and renewal. In Sanchez, R. and Heene, A. (Eds. ), Knowledge management and organizational competence USA: Oxford University Press. ISBN 978-0-19-925928-1. Baden Fuller, C. and Grant, R.M. (2000). Knowledge and Economic Organisation: an Application to the Analysis of Interfirm Collaboration. In van Krogh, G., Nonaka, I. and Nishiguchi, T. (Eds. ), Knowledge Creation: A Source of Value (pp. 113–150). Palgrave Macmillan UK. ISBN 978-1-349-62753-0. Baden Fuller, C. and Volberda, H. (1998). Strategic Renewal and Competence Building: Four Dynamic Mechanisms. In Hamel, G., Prahalad, C.K., Thomas, H. and O'Neal, D. (Eds. ), Strategic Flexibility: Managing in a Turbulent Environment (pp. 371–390). Chichester: Wiley. Baden Fuller, C. and Volberda, H. (1996). Strategic Renewal in Large Complex Organisations: A Competence Based View. In Sanchez, R., Heene, A. and Thomas, H. (Eds. ), Dynamics of competence-based competition: theory and practice in the new strategic management (pp. 89–110). Oxford: Pergamon. ISBN 978-0-08-042585-6. Baden-Fuller, C. and Boschetti, C. (1996). Creating competitive advantage through mergers: the lens of the resource based view. In Thomas, H. and O'Neal, D. (Eds. ), Strategic integration John Wiley & Sons Inc. ISBN 978-0-471-95806-2. Baden-Fuller, C., Dell'Osso, F. and Stopford, J. (1994). Changing rules of the game in mature industries. In Daems, H. and Thomas, H. (Eds. ), Strategic groups, strategic moves and performance Pergamon. ISBN 978-0-08-037768-1. Baden-Fuller, C., Porac, J. and Thomas, H. (1994). Competitive groups as cognitive communities. In Daems, H. and Thomas, H. (Eds. ), Strategic groups, strategic moves and performance Chichester, UK: Emerald Group Publishing. ISBN 978-0-08-037768-1. Baden Fuller, C. (1993). The globalization of professional service firms: evidence from four case studies. In Yair Aharoni, (Ed. ), Coalitions and competition : the globalization of professional business services (pp. 102–120). London: Routledge. Baden Fuller, C. and Stopford, J. (1992). Organisational Strategies for Building Corporate Entrepreneurship. In Lorange, P., Chakravarthy, B., Roos, J. and Van den Ven, A. (Eds. ), Implementing Strategic Processes : Learning, Adaptation and Innovation (pp. 43–70). Wiley-Blackwell. Baden-Fuller, C. (1990). Competition and Co-operation: Restructuring the UK Steel Castings Industry. Managing Excess Capacity (pp. 145–161). Wiley. ISBN 0-631-17213-0. Baden-Fuller, C. Rising Concentration: The UK Grocery Trade 1970-1980. In Tucker, K. and Baden-Fuller, C. (Eds. ), Firms and Markets (pp. 63–82). Taylor and Francis. ISBN 978-0-7099-2446-3. Baden Fuller, C. (2011). Various on Projects, Hedge Funds and Networks. SMS and EGOS Miami and Gottenburg. Baden Fuller, C. (2010). Multiple. Academy of Management & EURAM & EGOS Monteal, Lisbon, Rome. Baden Fuller, C. (2009). Multiple. Academy of Management & EGOS & Cass Workshops USA and Europe. Kamuriwo, S.D. and Baden-Fuller, C. (2007). The Knowledge Building Dilemma of Technology Based New Firms. Babson College Entrepreneurship Research Conference 2009, Babson College, Boston, USA. Baden Fuller, C. (2008). Multiple. Academy of Management and EGOS and JMS Los Angeles, Amsterdam, UK. Baden Fuller, C. (2007). Multiple. Academy of Management and EGOS and Babson Entrepreneurship Philadelphia, USA, Vienna, Madrid. Baden Fuller, C. (2006). Multiple. Academy of Management and EGOS and AGSM, Wissenshaft Collegium, Druid, USA, EU, Japan, Australia. Baden Fuller, C. (2005). Many Papers. Academy of Management and EGOS and Hitotsubashi USA and EU and Japan. Baden Fuller, C. (2004). Multiple Papers on Knowledge Management. Academy of Management New Orleans. Baden Fuller, C. (2003). Multiple Papers. AOM and EGOS and SMS US and EU. Grant, R.M. and Baden-Fuller, C. (2000). Knowledge and economic organization: An application to the analysis of interfirm collaboration. Wallis, R., Baden-Fuller, C., Kretschmer, M. and Klimis, G.M. (1999). Contested Collective Administration of Intellectual Property Rights in Music. Volberda, H.W. and Baden-Fuller, C. (1998). Strategic renewal and competence building: Four dynamic mechanisms. Baden Fuller, C. (2008). US Research Supremacy Draws to a Close. Financial Times. Hopkins, M.M., Crane, P., Nightingale, P. and Baden-Fuller, C. (2019). Moving from non-interventionism to industrial strategy: The roles of tentative and definitive governance in support of the UK biotech sector. Research Policy, 48(5), pp. 1113–1127. doi:10.1016/j.respol.2019.01.008 . Grant, R.M. and Baden-Fuller, C. (2018). How to Develop Strategic Management Competency: Reconsidering the Learning Goals and Knowledge Requirements of the Core Strategy Course. Academy of Management Learning & Education, 17(3), pp. 322–338. doi:10.5465/amle.2017.0126 . Baden-Fuller, C., Giudici, A., Haefliger, S. and Morgan, M.S. (2017). Business models and value: Analytical comparisons of scalable solutions and digital platforms. 2017 Annual Meeting of the Academy of Management, AOM 2017, 2017-August. doi:10.5465/ambpp.2017.90 . Aversa, P., Haefliger, S., Rossi, A. and Baden-Fuller, C. (2015). From business model to business modelling: Modularity and manipulation. Advances in Strategic Management, 33, pp. 151–185. doi:10.1108/S0742-332220150000033022 . Baden-Fuller, C. and Haefliger, S. (2013). Business Models and Technological Innovation. Long Range Planning, 46(6), pp. 419–426. doi:10.1016/j.lrp.2013.08.023 . Baden-Fuller, C. and Mangematin, V. (2013). Business models: A challenging agenda. Strategic Organization, 11(4), pp. 418–427. doi:10.1177/1476127013510112 . Hopkins, M.M., Crane, P.A., Nightingale, P. and Baden-Fuller, C. (2013). Buying big into biotech: scale, financing, and the industrial dynamics of UK biotech, 1980-2009. Industrial and Corporate Change, 22(4), pp. 903–952. doi:10.1093/icc/dtt022 . Nightingale, P., Baden-Fuller, C. and Hopkins, M.M. (2011). Projects, project capabilities and project organizations. Advances in Strategic Management, 28, pp. 215–234. doi:10.1108/S0742-3322(2011)0000028012 . Porac, J.F., Thomas, H. and Baden-Fuller, C. (2011). Competitive Groups as Cognitive Communities: The Case of Scottish Knitwear Manufacturers Revisited. Journal of Management Studies, 48(3), pp. 646–664. doi:10.1111/j.1467-6486.2010.00988.x . Zhang, J.J., Baden-Fuller, C. and Pool, J.K. (2011). Resolving the Tensions between Monitoring, Resourcing and Strategizing: Structures and Processes in High Technology Venture Boards. Long Range Planning, 44(2), pp. 95–117. doi:10.1016/j.lrp.2010.12.004 . Al-Laham, A., Amburgey, T.L. and Baden-Fuller, C. (2010). Who is my partner and how do we dance? technological collaboration and patenting speed in US biotechnology. British Journal of Management, 21(3), pp. 789–807. doi:10.1111/j.1467-8551.2010.00689.x . Zhang, J. and Baden-Fuller, C. (2010). The influence of technological knowledge base and organizational structure on technology collaboration. Journal of Management Studies, 47(4), pp. 679–704. doi:10.1111/j.1467-6486.2009.00885.x . Baden-Fuller, C., Demil, B., Lecoq, X. and MacMillan, I. (2010). SPECIAL ISSUE Business Models. Long Range Planning, 43(2-3), pp. 143–145. doi:10.1016/j.lrp.2010.03.002 . Baden-Fuller, C. and Morgan, M.S. (2010). Business Models as Models. Long Range Planning, 43(2-3), pp. 156–171. doi:10.1016/j.lrp.2010.02.005 . Mangematin, V. and Baden-Fuller, C. (2008). Global Contests in the Production of Business Knowledge. Long Range Planning, 41(1), pp. 117–139. doi:10.1016/j.lrp.2007.11.005 . Zhang, J., Baden-Fuller, C. and Mangematin, V. (2007). Technological knowledge base, R&D organization structure and alliance formation: Evidence from the biopharmaceutical industry. Research Policy, 36(4), pp. 515–528. doi:10.1016/j.respol.2007.02.015 . Mc Namara, P. and Baden-Fuller, C. (2007). Shareholder returns and the exploration-exploitation dilemma: R&D announcements by biotechnology firms. RESEARCH POLICY, 36(4), pp. 548–565. doi:10.1016/j.respol.2007.02.012 . Barreto, I. and Baden-Fuller, C. (2006). To Conform or To Perform? Mimetic Behaviour, Legitimacy-Based Groups and Performance Consequences. Journal of Management Studies, 43(7), pp. 1559–1581. doi:10.1111/j.1467-6486.2006.00620.x . Baden-Fuller, C., Dean, A., McNamara, P. and Hilliard, B. (2006). Raising the returns to venture finance. Journal of Business Venturing, 21(3), pp. 265–285. doi:10.1016/j.jbusvent.2005.02.009 . Baden Fuller, C. and Hilliard, B. (2005). Venture Funds Should Act Like Hedge Funds. Venture Capital Journal, 45, pp. 51–53. Carlisle, Y. and Baden-Fuller, C. (2004). Re-Applying Beliefs: An Analysis of Change in the Oil Industry. Organization Studies, 25(6), pp. 987–1019. doi:10.1177/0170840604045093 . Grant, R.M. and Baden-Fuller, C. (2004). A Knowledge Accessing Theory of Strategic Alliances. Journal of Management Studies, 41(1), pp. 61–84. doi:10.1111/j.1467-6486.2004.00421.x . Baden-Fuller, C., van den Bosch, F., Lubatkin, M., Johnson, G., Melin, L., Very, P. … Atamer, T. (2003). Roland Calori: A special tribute. Long Range Planning, 36(3), pp. 305–310. doi:10.1016/S0024-6301(03)00036-0 . Baden-Fuller, C. and Hwee Ang, S. (2001). Building Reputations: The Role of Alliances in the European Business School Scene. Long Range Planning, 34(6), pp. 741–755. doi:10.1016/s0024-6301(01)00088-7 . Huygens, M., Van Den Bosch, F.A.J., Volberda, H.W. and Baden-Fuller, C. (2001). Co-Evolution of Firm Capabilities and Industry Competition: Investigating the Music Industry, 1877-1997. Organization Studies, 22(6), pp. 971–1011. doi:10.1177/0170840601226004 . Volberda, H.W., Baden-Fuller, C. and van den Bosch, F.A.J. (2001). Mastering Strategic Renewal. Long Range Planning, 34(2), pp. 159–178. doi:10.1016/s0024-6301(01)00032-2 . Baden-Fuller, C. (2001). Looking back: looking forward. Long Range Planning, 34(1), pp. 1–3. doi:10.1016/s0024-6301(01)00019-x . Baden-Fuller, C., Remer, S. and Ang, S.H. (2001). Dealing with uncertainties in the biotechnology industry: the use of real options reasoning. Journal of commercial biotechnology, 8(2), pp. 95–105. doi:10.5912/jcb419 . Calori, R., Baden-Fuller, C. and Hunt, B. (2000). Managing change at Novotel: Back to the future. LONG RANGE PLANNING, 33(6), pp. 779–804. doi:10.1016/S0024-6301(00)00090-X . Baden-Fuller, C. (2000). The ranking of European business schools (Editorial). LONG RANGE PLANNING, 33(5), pp. 619–620. Baden-Fuller, C., Ravazzolo, F. and Schweizer, T. (2000). Making and Measuring Reputations. Long Range Planning, 33(5), pp. 621–650. doi:10.1016/s0024-6301(00)00064-9 . Baden-Fuller, C., Targett, D. and Hunt, B. (2000). Outsourcing to outmanoeuvre:. European Management Journal, 18(3), pp. 285–295. doi:10.1016/s0263-2373(00)00010-4 . Baden-Fuller, C. (2000). Relaunch of LRP. LONG RANGE PLANNING, 33(1), pp. 1–3. doi:10.1016/S0024-6301(99)00112-0 . McNamara, P. and Baden-Fuller, C. (1999). Lessons from the Celltech Case: Balancing Knowledge Exploration and Exploitation in Organizational Renewal. British Journal of Management, 10(4), pp. 291–307. doi:10.1111/1467-8551.00140 . Baden-Fuller, C. (1999). Letter from the Editor. Long Range Planning, 32(5), pp. 481–482. doi:10.1016/s0024-6301(99)00085-0 . Baden Fuller, C. and Dean, A. (1999). Punctuated and incremental change: UK water industry. Academy of Management Best Paper Proceedings, (August). doi:10.5465/APBPP.1999.27592681 . Dean, A., Carlisle, Y. and Baden-Fuller, C. (1998). Punctuated and Continuous Change: The UK Water Industry. British Journal of Management, 10(s1), pp. 3–18. doi:10.1111/1467-8551.10.s1.2 . Baden Fuller, C. and Volberda, H. (1997). Strategic Renewal. International Studies in Management and Organizations, 27(2), pp. 95–120. doi:10.1080/00208825.1997.11656709 . Baden Fuller, C., Maljers, F. and van den Bosch, F. (1996). Maintaining Strategic Momentum: The CEO's Agenda. European Management Journal, 14(6), pp. 555–561. doi:10.1016/S0263-2373(96)00053-9 . Baden-Fuller, C. (1995). Strategic Innovation, Corporate Entrepreneurship and Matching Outside-in to Inside-out Approaches to Strategy Research1. British Journal of Management, 6(s1). doi:10.1111/j.1467-8551.1995.tb00134.x . Baden-Fuller, C. and Grant, R. (1995). A knowledge based theory of interfirm collaboration. Academy of Management Proceedings, 38(August), pp. 17–21. doi:10.5465/AMBPP.1995.17536229 . Lorenzoni, G. and Baden-Fuller, C. (1995). Creating a Strategic Center to Manage a Web of Partners. California Management Review, 37(3), pp. 146–163. doi:10.2307/41165803 . Baden-Fuller, C. and Stopford, J. (1994). Creating corporate entrepreneurship. Strategic management journal, 15(7), pp. 521–536. doi:10.1002/smj.4250150703 . Baden‐Fuller, C.W.F. and Stopford, J.M. (1991). Globalization frustrated: The case of white goods. Strategic Management Journal, 12(7), pp. 493–507. doi:10.1002/smj.4250120703 . Stopford, J.M. and Baden-Fuller, C. (1990). Flexible strategies—The key to success in knitwear. Long Range Planning, 23(6), pp. 56–62. doi:10.1016/0024-6301(90)90102-a . Baden-Fuller, C. and Bateson, J. (1990). Promotion strategies for hierarchically organised professional service firms:-Is “up or out” always the best? International Journal of Service Industry Management, 1(3), pp. 62–78. doi:10.1108/09564239010135156 . Stopford, J.M. and Baden‐Fuller, C. (1990). CORPORATE REJUVENATION. Journal of Management Studies, 27(4), pp. 399–415. doi:10.1111/j.1467-6486.1990.tb00254.x . Baden-Fuller, C.W.F. (1989). Exit From Declining Industries and the Case of Steel Castings. The Economic Journal, 99(398), pp. 949–949. doi:10.2307/2234083 . Baden-Fuller, C., Porac, J. and Thomas, T. (1989). Competitive Groups as Cognitive Communities. Journal of management studies, 26(4), pp. 397–416. doi:10.1111/j.1467-6486.1989.tb00736.x . Baden-Fuller, C. and Longley, R. (1988). Predicting plant closures in European industry. Long Range Planning, 21(1), pp. 90–96. doi:10.1016/0024-6301(88)90063-5 . STOPFORD, J.O.H.N.M. and BADEN-FULLER, C.H.A.R.L.E.S. (1987). Regional-Level Competition in a Mature Industry: the Case of European Domestic Appliances. JCMS: Journal of Common Market Studies, 26(2), pp. 173–192. doi:10.1111/j.1468-5965.1987.tb00311.x . Baden-Fuller, C. (1981). Economic Issues Relating to Property Rights in Trademarks: Export Bans, Differential Pricing, Restrictions on Resale and Repackaging. European Law Review, 6(3), pp. 162–179. Baden-Fuller, C. (1979). Article 86 EEC: Economic Analysis of the Existence of a Dominant Position. European Law Review, 4(6), pp. 423–441. Baden-Fuller, C. (1979). Price Variations: The Distillers Case and Article 85 EEC. International and Comparative Law Quarterly, 28(1), pp. 128–132. doi:10.1093/iclqaj/28.1.128 . Nightingale, P., Murray, G., Cowling, M., Baden Fuller, C., Mason, C., Siepel, J. … Dannreuther, C. (2009). From funding gaps to thin markets..
Baden Fuller, C. (1998). The Value of Design and Strategic Alliances in Newly Emerging Products, Firms and Markets: Seven Cases. London. Flier, B., Bosch, F.A.J.V.D., Volberda, H. and Baden-Fuller, C. (2004). Investigating Strategic Renewal of Five Large Dutch Financial Services Firms. Huygens, M., Baden-Fuller, C., Bosch, F.A.J.V.D. and Volberda, H. (2001). Coevolution of Firm Capabilities and Industry Competition. Baden-Fuller, C. and Winter, S.G. Replicating Organizational Knowledge: Principles or Templates? Baden Fuller, C. and Tomkin, N. (2000). The Mondex case study: the development of an electronic purse - a smart card used to store electronic cash. Baden Fuller, C., Calori, R. and Hunt, B. (1995). Novotel: A Case Study. Long Range Planning, Editor, 1999 – 2010. Strategic Management Society, EGOS. (Conference) Atlanta and Montreal (2013). Invited speaker. EGOS and Strategic Management Society. (Conference) Helsinki and Prague (2012). Invited speaker. SMS and EGOS. (Conference) Miami and Gottenburg (2011). Invited speaker. Academy of Management & EURAM & EGOS. (Conference) Monteal, Lisbon, Rome (2010). Invited speaker. Academy of Management & EGOS & Cass Workshops. (Conference) USA and Europe (2009). Invited speaker. Academy of Management and EGOS and JMS. (Conference) Los Angeles, Amsterdam, UK (2008). Academy of Management and EGOS and Babson Entrepreneurship. (Conference) Philadelphia, USA, Vienna, Madrid (2007). Academy of Management and EGOS and AGSM, Wissenshaft Collegium, Druid. (Conference) USA, EU, Japan, Australia (2006). Academy of Management and EGOS and Hitotsubashi. (Conference) USA and EU and Japan (2005). Academy of Management. (Conference) New Orleans (2004). AOM and EGOS and SMS. (Conference) US and EU (2003). Charles Baden-Fuller: 'get your head around the fact there are customers' (VIDEO). (2014) Management Today (magazine). Charles Baden-Fuller: 'get your head around the fact there are customers' (VIDEO). (2013) Management Today (magazine). How to do more when you have less. (2013) Management Today (magazine). uk plc: sailing through the doldrums. (2013) meltwaters..
new course needed to escape doldrums. (2013) the financial times (newspaper). How to do more when you have less. (2013). The secret to a high-performing firm. (2011) Sunday Telegraph (newspaper). Change in business model holds key to success. (2011) www.gulftoday.com (website). Innovation in business model serves as key to success. (2011) twentyfoursevennews.com (website). Capital Club Dubai and Cass Busines School in London host a talk on business models. (2011) www.ameinfo.com (website). Change in business model holds key to success. (2011) www.albawaba.com (website). Cass Professor Calls for Government-backed VC Funds to be Restructured. (2009) www.pr-usa.net (website). Cass Professor Elected Strategic Management Society Fellow. (2009) www.ukprwire.com (website). SMT Online Editor's View: The Case of Crime Law Overload. (2009) www.info4security.com (website). Knives out for Lloyds board. (2009) Daily Telegraph (newspaper). Corporate strategy. (2009) Financial Times (newspaper). Indiana University's Kelley School of Business Ranks Third in the World for Research Impact. (2008) www.newsblaze.com (website). IU's Kelley School of Business ranks third in the world for research impact. (2008) www.newsinfo.iu.edu (website). The global marketplace for bright ideas. (2008). US research supremacy is drawing to a close. (2008) Financial Times (newspaper). Soap box: US Research Supremacy Draws To A Close. (2008) Ft.com (website). The Globalization of Business Research. (2008) BizEd (magazine).